Here’s what some of our customers are saying about JDM Connection Inc. 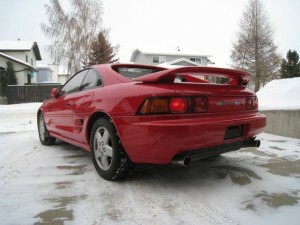 Going through Will @ JDM connection was a no brainer to begin with, and was a choice that will continue to pay dividends throughout my ownership of my MR2. Will was patient, knowledgeable, and above all – honest about every aspect of my car purchase. There was not a single hiccup throughout the process, and the vehicle far surpassed my expectations both mechanically and aesthetically. Will strived to find me the vehicle I desired, and achieved, yet again. Will isn’t on the top of my list of suggested importers, he is the list. I was initially skeptical about buying a car from auction without ever seeing it in person. 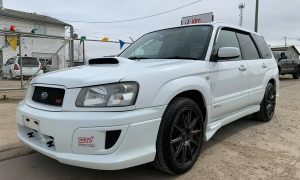 With the help of William at JDM Connection my concerns quickly subsided. He sent me auction listing daily of only the cars he knew would fit my specific criteria. Once we found the car that was right for me, he guided me through the entire process step by step. I was beyond impressed when my car arrived. The condition of the car far exceeded my expectations, both cosmetic and mechanic. Selecting and purchasing my R33 from JDM Connection was very easy and there were no headaches involved in the entire process. I was looking for a skyline in great shape with exceptionally low kilometres on the engine. William was very patient in emailing me pictures of very nice R33s until I found the one one I wanted. 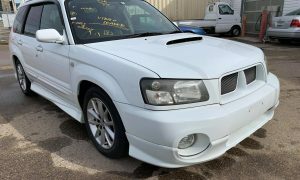 Once the car arrived, I was not disappointed in any way shape or form and the car was exactly how William said it would be, in very good condition. Living in ontario, the laws concerning RHD cars are difficult to deal with but after calling William he helped me through the process of registering the vehicle. 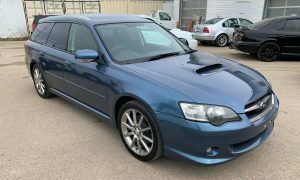 I would recommend JDM Connection to anyone considering the purchase of a JDM car. The value for your dollar is unrivaled. I looked around the site, noticing the supras posted were in my price range. Gave William a email and it went from there. I was very weary about the whole thing but William made it clear on the whole process over and over again as well as the bundle of questions I had in each email. I had too many emails to count, but William was there to reply honestly, friendly, and very quickly. He had sent many different supra’s but I was very picky as to what I wanted. William was very patient and worked hard to find me the perfect car. When I finally recieved the car I had chosen, I was shocked as to how amazing the car was. The process was very simple and explained well. I was informed what to do every step of the way. I highly recommend William at JDM Connection for anyone wanting to get their perfect import. Thanks William. Importing through JDM Connection was probably as easy as it gets. It took a little bit of time to find a car that met my standards but. after picking out of the many Will had me choose from i brought home a mint ‘92 180sx. I couldnt be happier with my experience importing through Will or with the car. Originally I was recommended to deal with Will about importing a car for myself. I was a bit leery but as soon as I met with him I knew he was a man of his word. Then it was down to finding the car I had wanted, the day i went to put the hold down it was sold the night before. Will went ahead and searched for a few more choices for me since I had missed out on that one. Sure enough I decided on one which in turn was better than I had expected. 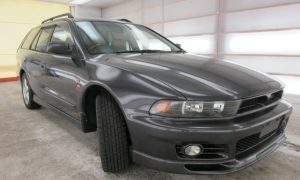 The car came within the 2 month period promised, and up to expectations, all cleaned up and ready to go. He had actually given me a set of booster cables, haha. The battery wasn’t holding charge, turned out to be ok after some driving. I keep them in the car just in case. Customer service is by far outstanding, E-mails, phone calls, all were responded to immediately or within 24hours which was great. Any concerns you have aren’t dragged out over days or left behind. Will has always done his best to get you anything you need or point you in the right direction. 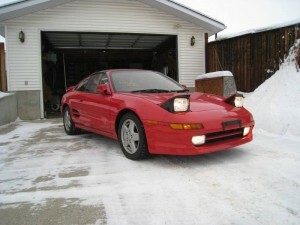 Recently my Father had purchased an MR2, again astonishing service. Even had some troubles with the car, Will had given us a few shops he recommended and the car was back up to shape in no time. I have as well ordered some parts for my car which are on their way now. I will always recommend JDM Connection to all others I talk to anyone interested in purchasing, or even just finding parts for import cars. I searched for six months for an importer before I purchased my 1992 Efini RX7 through William. I could have saved money going through the process on my own but William’s reputation for excellent customer service convinced me to call him. He responded to every one of my questions in less than 24 hours and made the process of buying a car unseen very relaxed. 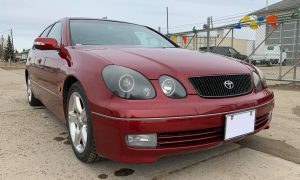 The vehicle arrived during late June 2008 and was in excellent shape for a 15+ year car. Even people who doubted my purchase commended me once they viewed the vehicle in person. William only sources the highest quality and I have already recommended JDM Connection to others. He is a true professional and I will continue to stay in contact with JDM Connection for my JDM needs. I was alittle afraid of importing after hearing horror stories about the process, and hidden fee’s people were adding on. I contacted a few people and Will was the first to respond. He sent me an email about the cost of importing fee’s and told me flat out how much everything was. I was surprised. He didn’t hide anything. He gained alot of trust. I was importing a Skyline and was very paticular about what i wanted. He sent a couple they had in the Japan Fleet, and showed me the auction page. Telling me if I found anything, attach it to an email and he’ll work his magic. At one point, he told me he was going out of town for the week and if anything popped up, call him and he would deal with it ASAP. I was blown away. Then came an email that changed it all. After a few weeks of looking through a million Skylines, He sent me an auction page of my Fairlady Z. I loved it instantly. And never looked back. I had it in no time. Even helped me arrange to pick it up while he was on christmas holidays. Always pointed me in the right direction. Even helped arrange the Out Of Province Inspection. But most of all, I gained a good friend. I’ve past out over 30 business cards and told hundred’s of people about the site. He never let down, and I enjoyed doing business with him. My next import will be through him without a doubt. To put it simply and absolutely, William & JDM Connection are the image in which all importers should be striving to parallel. He’s customer service is paramount and the dilligence of his product quality is second to none. Anyone with any doubts about the industry’s moral validity should seek out JDM connection.